Agile marketing's rise is showing no signs of slowing. It almost seems too good to be true – can this software development methodology really deliver the exceptional results that its proponents in marketing proclaim? 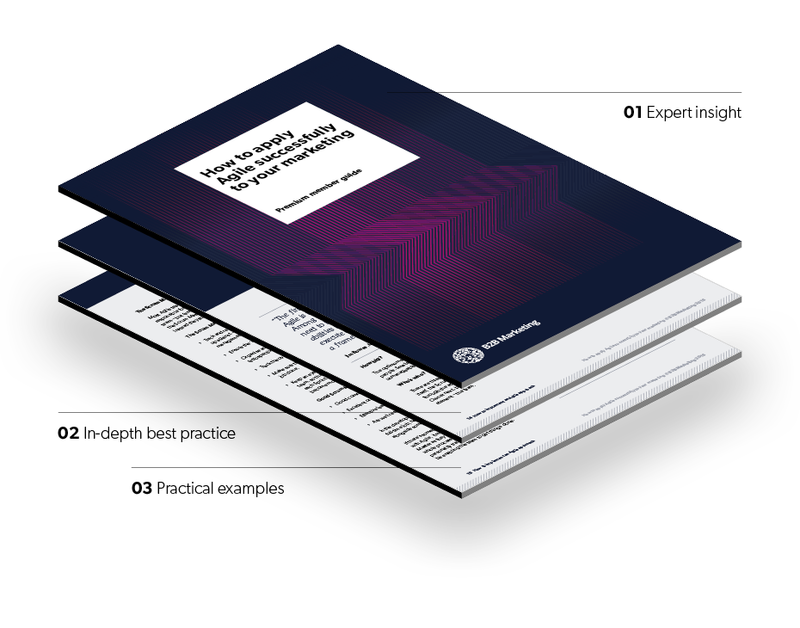 In this guide we remove the mystery that surrounds Agile marketing and explain exactly what it is, whether it's right for you and your team, and how you can go about implementing an Agile approach. How Dun & Bradstreet made a seamless transition to Agile by taking a persona-by-persona approach. The seven key steps for implementing a successful Agile approach to marketing. The five crucial characteristics of a successful Agile team. How to use Agile to replace the team meetings you have, with ones that actually deliver. Scrum, Sprints, Epics and Stories - what they are and how to make them fit what your team does. A ten point Agile marketing action plan. The snags you could face, and how to fix them. How IBM's approach to Agile marketing can provide a blueprint for your own success. "Agile enables marketing teams to be more productive, creative and successful"
Is it right for my team?